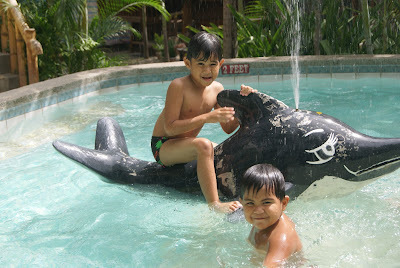 We went to Sea Forest Resort and Restaurant on December 29, 2010 to celebrate the birthday of Don Hermes Corsame. It was an early celebration for us as we had to come back to Manila on the 31st of December. 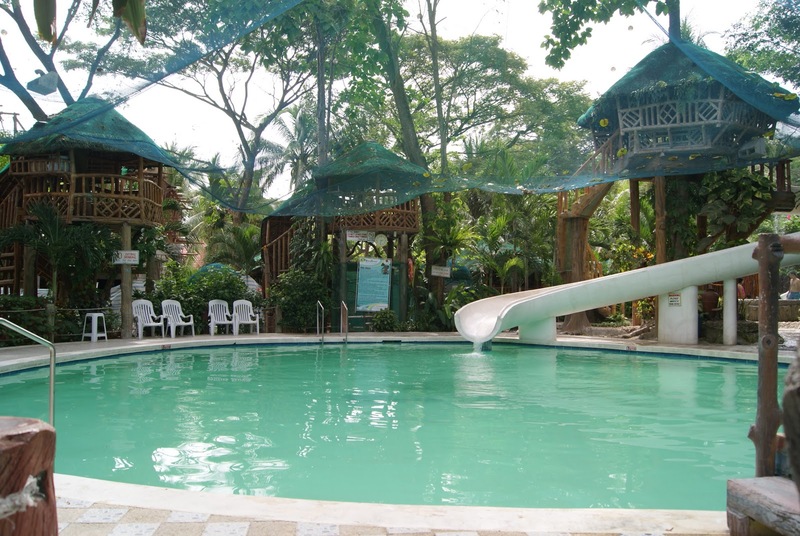 Sea Forest Resort is located at Sibulan, Negros Oriental - 30 minutes away from the house. 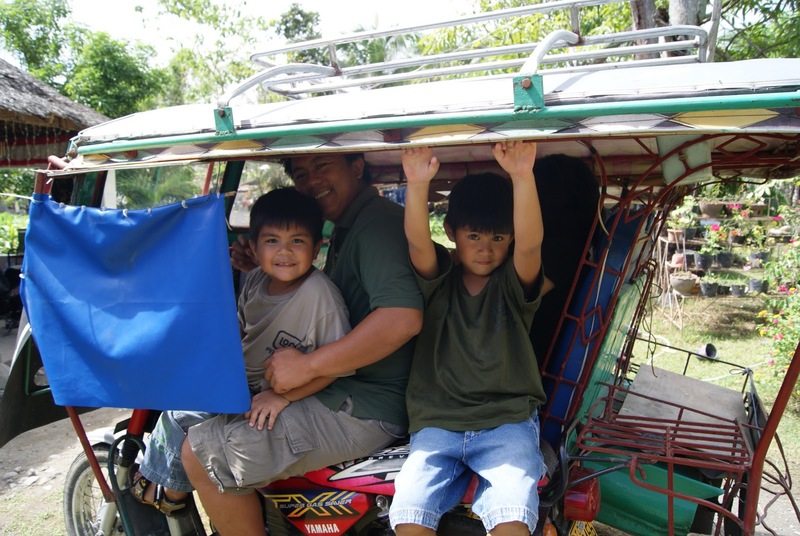 The kids used Uncle Tantan's tricycle or pedicab while hubby and I rode on the motorcycle. It was an unplanned so we just bought food on the way to the resort. We dropped by at Sansrival to buy the birthday cake and went to Rago to buy the food. Good that the service crew packed the food with anylock bag sealers that it was still hot and fresh when we got to the resort. The kids arrived earlier than us and were already hungry. My son tried to open the plastic bag with anylock sealing rods but it was too tight. He was then bragging me to help him out. Poor hungry child. The resort comprise of 3 swimming pools. 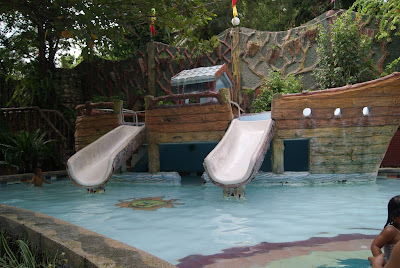 My kids of course tried all the swimming pools but they stayed longer at the adult pool because of the higher slide with dramatic fall on the pool. 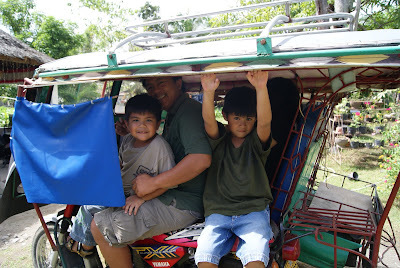 Surprisingly, they weren't afraid as they were wearing life jackets which could be rented at Php 20.00 each. Overall, the resort exceeded my expectation. Although I did not splunge in the pool, I was still happy looking at the kids and the kids at heart while taking photos. I guess you already know that in every ocassion we have, my role is always the mommytographer. At around 3:00 PM, the boys were already tired and so we packed our things and left over food with anylock slide and store. If you want to visit the resort, it is only 30 minutes away from Dumaguete city center. 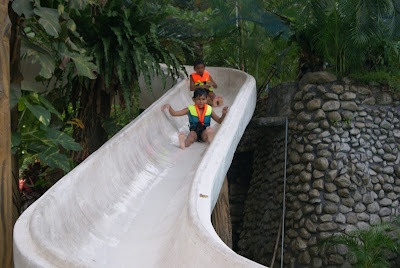 The current entrance fee is Php 100.00 ($2.30) for adults and Php 75.00 ($1.70) for kids. The cottage tree can be rented at Php 300.00 ($6.80) but we rented the bigger version for Php 500.00 ($11.40) per day. Swimming attire is strictly observed but in case you forgot your swimming costume, you can also rent for as low as Php 20.00 ($.45) per piece. Ka nindot gd sa imung header mommy Tins. Not bad for the price kay nice ilng pool sd. Negros Occidental baya ang lugar sa akong papa sd. 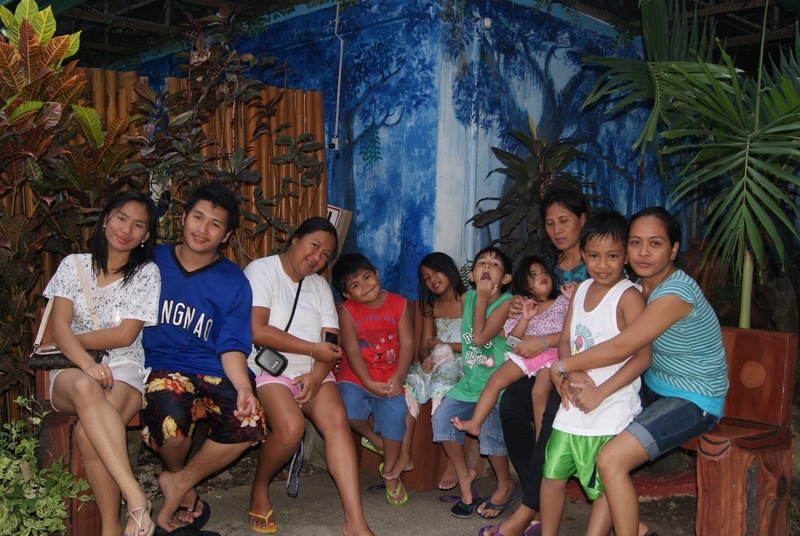 Anyway, preha sa imung baye spider man mn sd tong akong anak. hehehe kining mga babaye mas daredevil pa kaysa mga laki. Nice place for everyone to enjoy the day. Added this blog as well.Thanks! The place is nice and simple. You're from Negros pala.I'm from Tagum, Davao naman. I've never been in Negros before but would like to travel. It's just that I don't have extra money or income to spend for traveling.